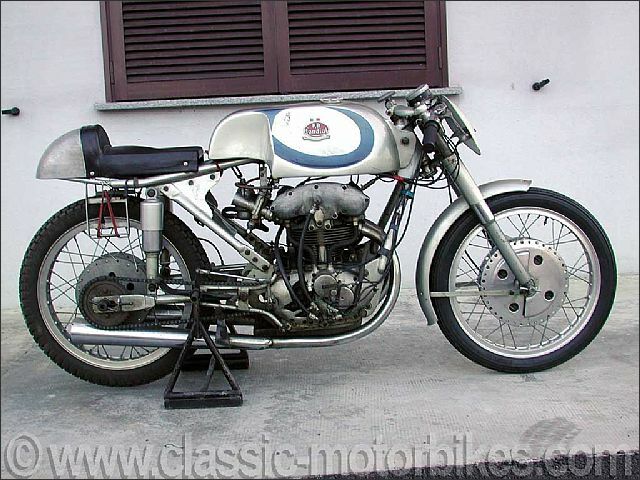 FB-Mondial (manufactured by Fratelli Boselli) was a motorcycle manufacturer from Milan, Italy between 1948 and 1979, known for its Grand Prix motorcycle racing successes during the 1950s. Prior to World War II, it manufactured delivery tricycles. The firm produced some of the most advanced and successful Grand Prix road racers of the time, winning 5 World Championships. Mondial was established by Count Giuseppe Bosselli in Milan who recognised the need for economical transport to assist Italy in recovering from the ravages of the Second World War. 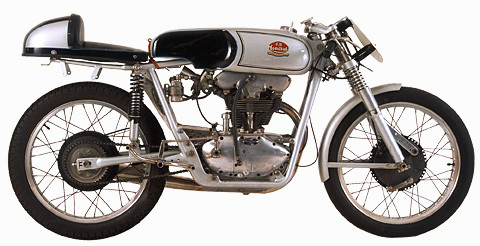 In common with Count Domenico Agusta he realised that the best and quickest way of establishing his new enterprise in the minds of potential buyers was through competition, consequently the first machine to appear bearing the soon to be famous FB Mondial tank badge was a twin cam 125cc racing motorcycle. 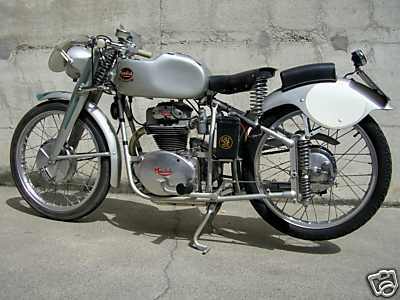 Campaigned during 1948 with considerable success the new machine went on to win the 1949 125cc World Championship. 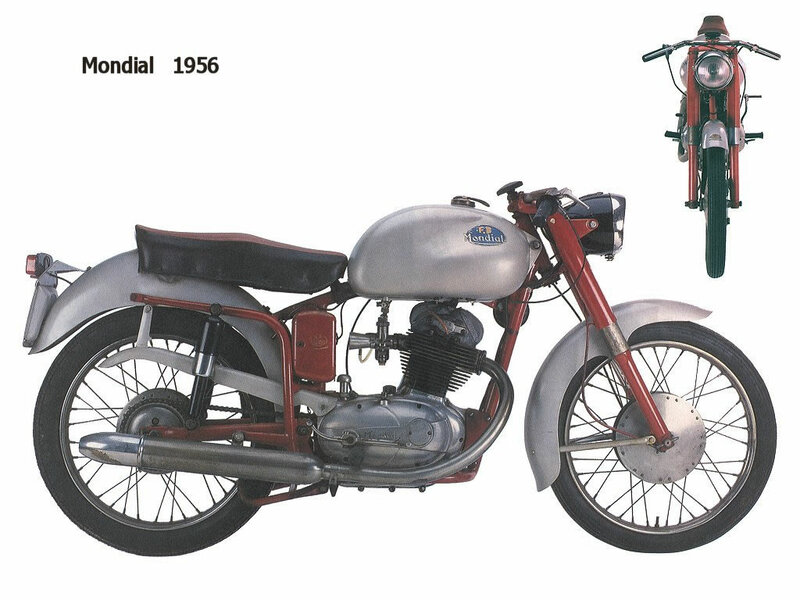 After the 1957 Grand Prix season, the major Italian motorcycle manufacturers including Gilera, Moto Guzzi, MV Agusta and Mondial announced that they would pull out of Grand Prix competition citing increasing costs and diminishing sales (MV Agusta later reconsidered and continued racing).Mondial had prepared a bike with desmodromic valve actuation (before Ducati) but did not produce it. In 1999 Roberto Ziletti attempted to revive the marque. 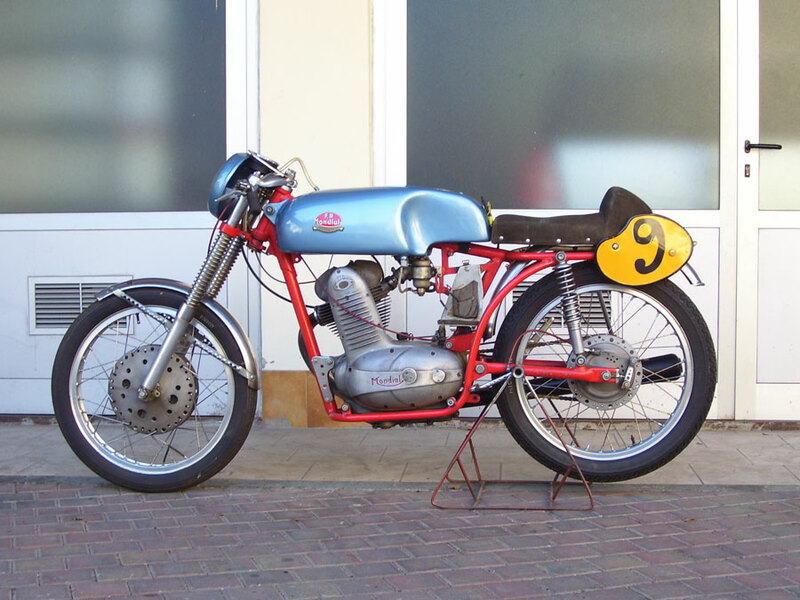 The company introduced their first production roadsters in 1950, utilising 125cc pushrod engines displaying features inherited from the GP machine in their design and establishing a pattern that would see subsequent production machines benefiting from the firms success on the track. 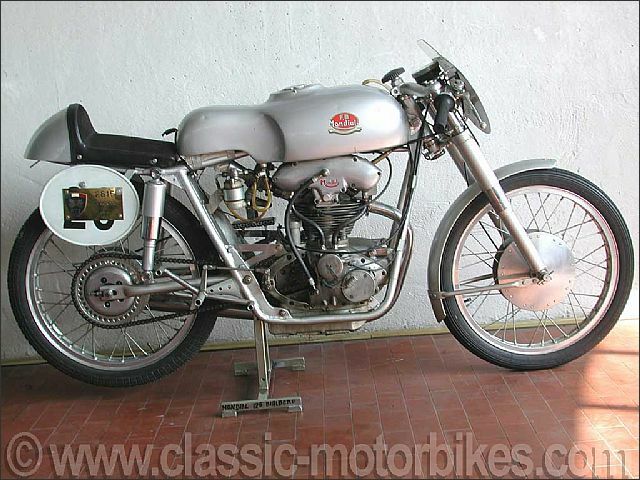 1954 Mondial 125 Ex-Works GP Twin Camshaft Single Works bike 125 GP twin camshaft single from 1954. 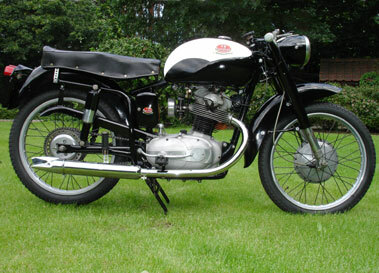 1954 Mondial Gran Lusso 200cc. 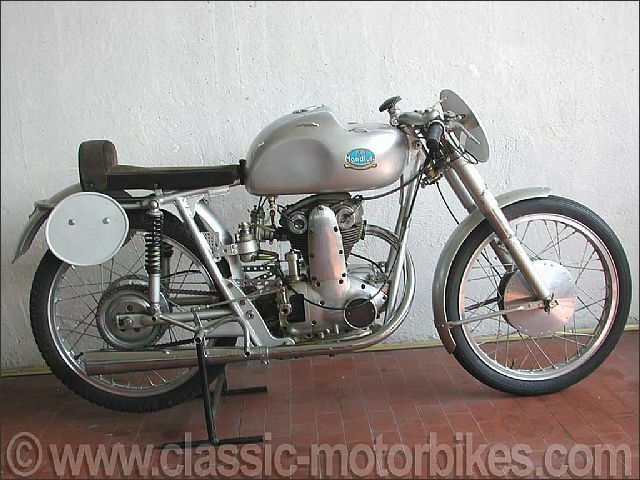 1954 Mondial 125 MSDS Milano - Taranto Superb 125 cc Mondial MSDS "Milan - Taranto" single camshaft from 1954. SSI 22,5 m/m carburettor. 1955 Mondial 175 Ex-Works Single Works bike from 1955. Twin camshaft single, gear driven distribution. 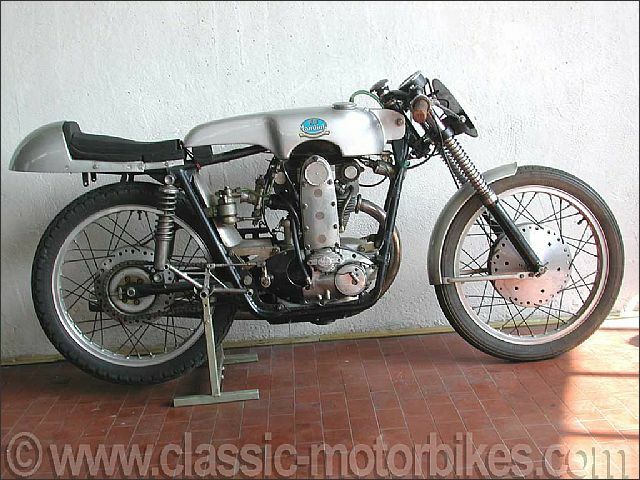 1957 Mondial 250 Ex-Works Prototype Ex-works Mondial 250 twin cylinder, twin cam prototype. 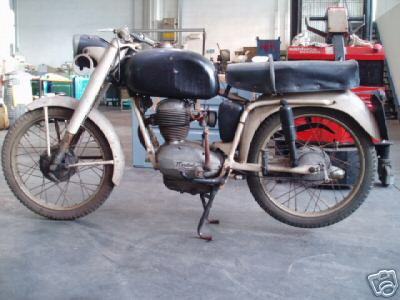 Final bike to leave the official racing department in 1957 prior to Mondial’s definitive withdrawal from competition. This prototype was test ridden by Provini, Sandford and Rémo Venturi. 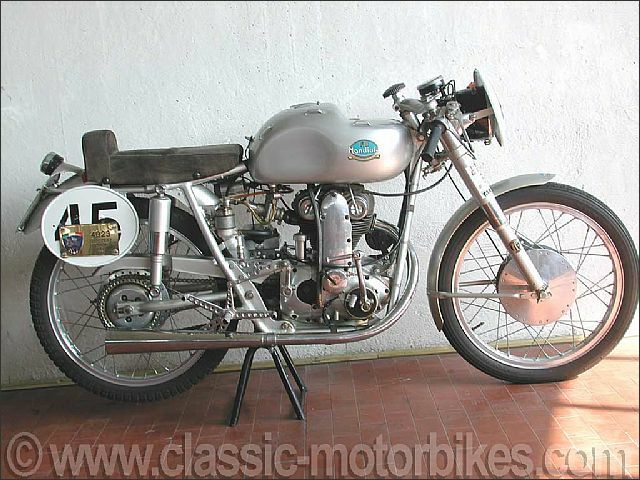 1956 Mondial 125 Single Camshaft Privateer Competition bike 125 GP single camshaft (Privateer model) from 1956 with chain timing distribution.